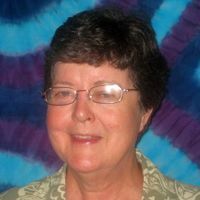 The Reverend Fayre Stephenson, program director for the Ferry Beach Park Association, will be the pulpit guest this Sunday, April 25, sharing her reflections on grace in community. We know how important the UU communities we build are to each of us on a personal level. Is there a liberal theology that can give UUs a framework for the spiritual fulfillment we find in religious community? How does our commitment to community unify us in all of our diversity? If you have questions about Ferry Beach or want to hear more about the magic that happens over and over again when people get together at this extraordinary place, then please come on Sunday. If you are already convinced, then come and share your own story about Ferry Beach. The service will begin at 10:30 a.m., followed by coffee and fellowship at about 11:30. Child care and religious-education classes are available, and visitors are always welcome. Following the service, from noon to 1:30 p.m., the Social Action Committee will continue its discussion of ethical eating. All are invited, whether or not you attended the first meeting. A light lunch will be provided, and child care is available.